Helps with leaking gut and back fat! Maintaining a healthy weight and level of body fat is essential for preventing many health problems. A fatty acid called conjugated linoleic acid (CLA) helps to determine your fat to muscle ratio. Your body contains millions of fat cells‚ each and every one of which holds the desire to increase in size. CLA is believed to control the rate at which your fat cells grow by diverting calories towards your muscle cells‚ where they're used as fuel. When used along with weight training‚ CLA may also help promote muscle growth and overall strength. While your body can produce its own CLA‚ it’s also found in dairy‚ produce and meat. 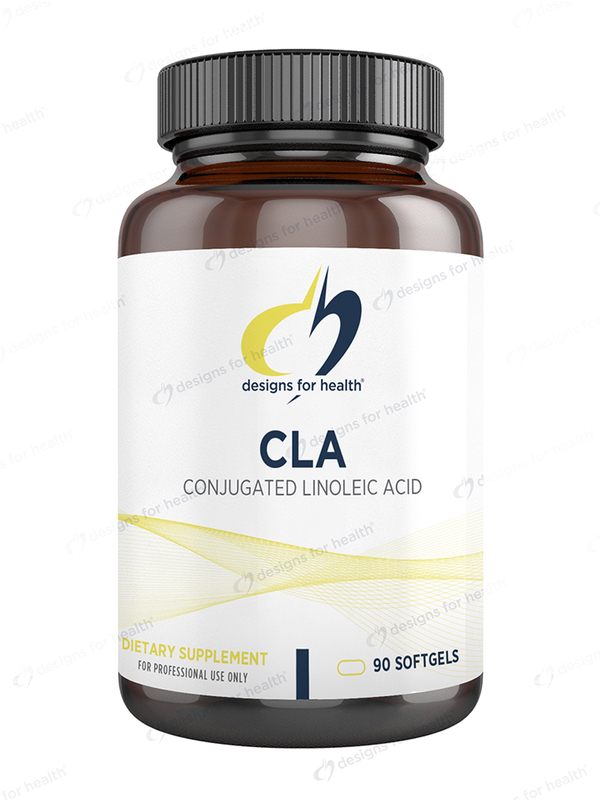 Another way to avoid a conjugated linoleic acid shortage is by taking a supplement like Designs for Health’s CLA Softgels. CLA by Designs for Health may improve muscle tone‚ especially when it's combined with a healthy diet and exercise regimen; it may also support healthy blood sugar levels. 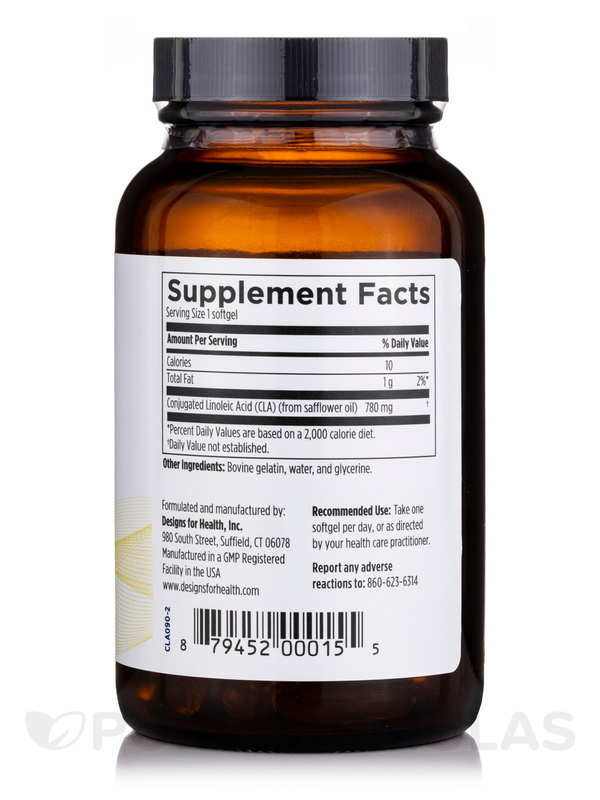 If you have an underactive thyroid‚ this supplement may improve the rate at which you produce and use energy. Keep in mind that you shouldn't use CLA supplements as a replacement for any medications already prescribed by your doctor. The only active ingredient in this product is Clarinol™‚ which contains CLA. 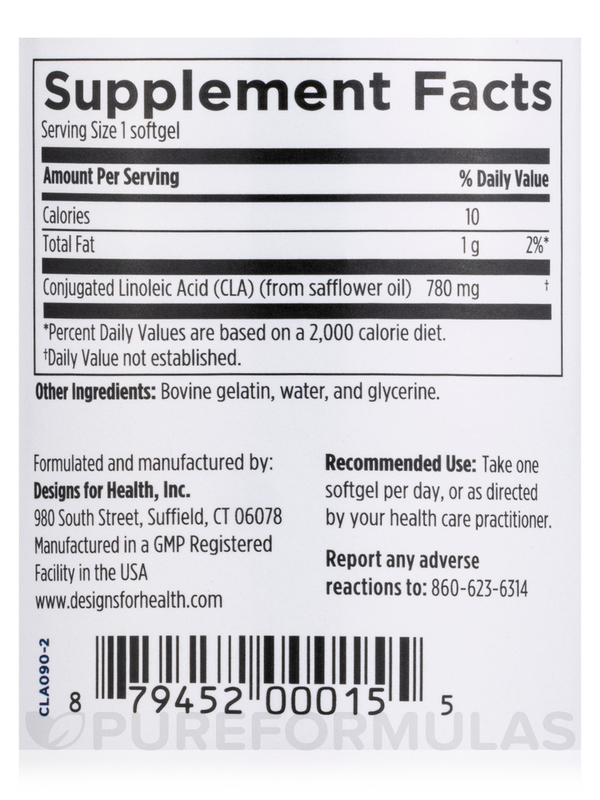 Each softgel capsule provides roughly 1‚000 mg of this helpful fatty acid. 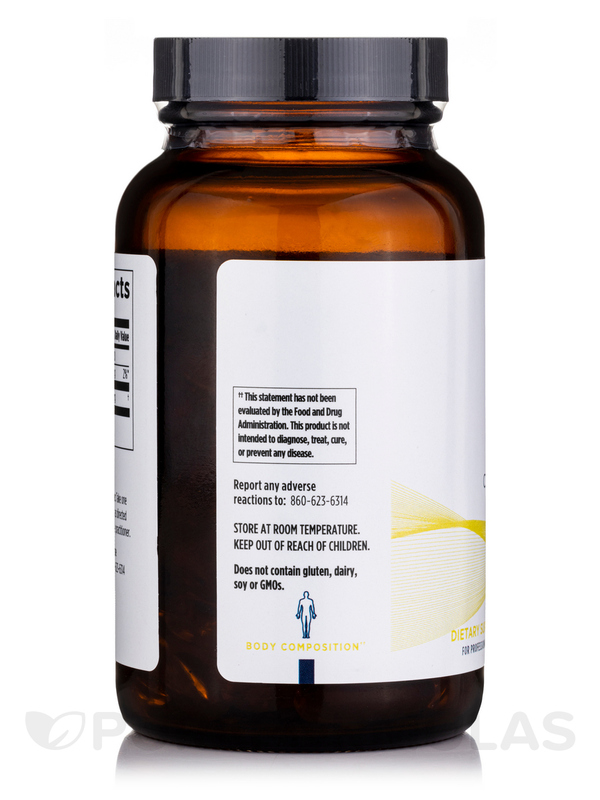 One bottle of CLA by Designs for Health contains 90 softgels‚ which is a three-month supply at the standard dosage. Take one softgel a day‚ unless otherwise directed by your doctor. Other Ingredients: Bovine gelatin‚ water‚ and glycerine (softgel). My physician put me on this specific brand as he has done the research and states this is one of the very best in quality. My physician is very thorough with products he recommends and prescribes. He only suggests the very best for his patients. I have been on this for 6 months with no side effects and have reordered. Sometimes we are on these products for our &quot;inside&quot; health and dont feel the products. In these situations it is nice to know you are taking one of the best. Easy to swallow capsule. Once a day dosing. Can take on an empty stomach. It took about two weeks for me to feel the difference in my abdominal. Noticed the difference in the loss of my back fat it took about 30 days.